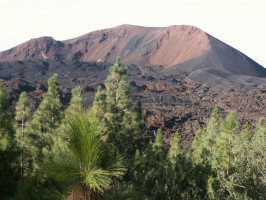 Explore the white mountain that gave its name to Tenerife, sacred to the Guanche aboriginal people, in a full day tour. 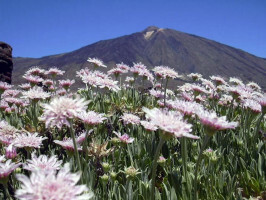 If you are staying in Tenerife, a visit to Mt. 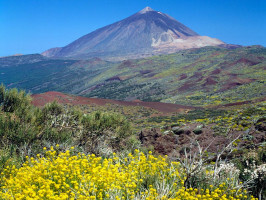 Teide should definitely be on your list of things to do. After being picked up from your resort you will soon find yourself in the most charming and beautiful town in Tenerife, La Orotava. Situated in the middle of the Orotava Valley, you will find perfectly preserved buildings, traditional architecture and colourful balconies and courtyards. 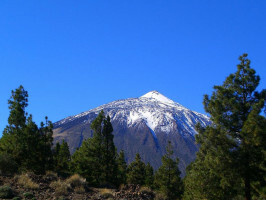 As you leave the town and ascend up the mountain towards El Teide National Park, you can enjoy impressive views down over the valley and the northern coastline. As you climb beyond the tree-line you will enter an almost dreamlike landscape of rock, and dazzling light, and feel like you are on another world. Admire the power of mother nature, as you pass by lava flows cascading down the mountain from a time gone by. 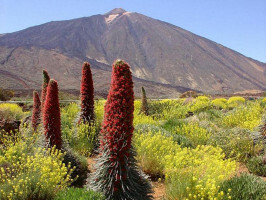 Enjoy the unique beauty that El Teide National Park holds until you reach Llano de Ucanca. 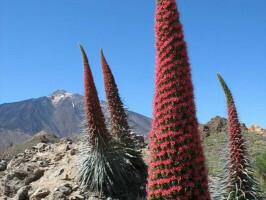 From here we can admire the summit that stands 3,718 metres high, and Los Roques de Garcia. A mysterious site, that no words can describe. Do not miss the chance to see a different side to Tenerife, we promise it is worth it, and you will be able to capture some amazing photos. English, German and Spanish; other languages on request . Recommended : warm clothes.Not recommended for people with heart problems.